Advance Medical Directives outline the type of medical care that you want in the event that you become incapacitated due to an illness or accident. A person is incapacitated if they are impaired by mental illness or deficiency, physically illness or disability, development disability, or other causes to the extent that they cannot govern themselves and manage their own affairs. If you happen to become incapacitated or unable to make your own medical decision, an advance medical directive provides an opportunity to alleviate potential heartaches for your family members, who may be forced to guess your intentions, as well as, for your treating health physicians, who can follow your pre-planned directions. Unfortunately, many adults have not taken advantage of advance directives, leaving their future uncertain. The health care proxy, also known as a “durable power of attorney,” will designate someone, such as a spouse or trusted relative, who can legally act as an agent and make medical decisions in the event you cannot. A living will delineates the type of treatment you would want if you become critically ill and specifies your wishes in terms of end-of-life care. Through a living will, you can explain to your family members, in advance, the types of treatment you deem worthy of continuing. In planning a living will, be certain that the words transparently communicate your wishes, including any religious considerations or organ donations. 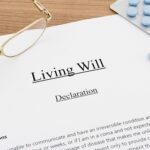 For More Information and How to Make or Update Your Advance Directives, you should contact an experienced estate planning attorney. An experienced attorney may help you understand the benefits of Advance Medical Directives to enable you to make the proper decision for you and your loved ones. Everyone deserves to have the peace-of-mind knowing that their wishes and intentions will be carried out in the event of incapacity.